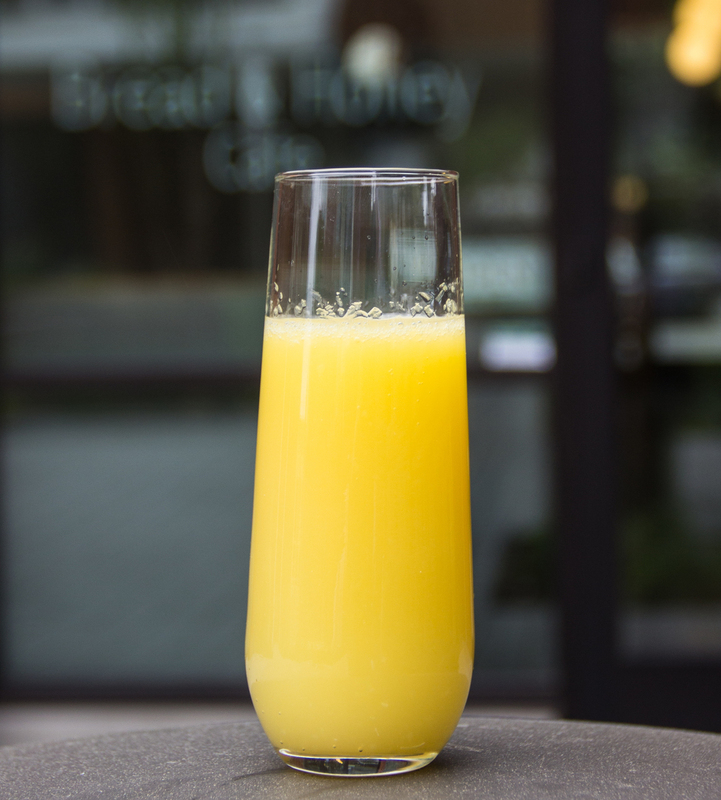 Every Saturday and Sunday from 8 AM – 2 PM we serve Brunch at the Bread & Honey Cafe. We have an extensive brunch menu that includes Scrambles, Biscuits and Gravy, Corn Cakes, a Fruit and Yogurt Parfait, and Mimosas, as well as good ol’ Bacon and Eggs. Below are photos of our brunch menu and some of our brunch items.